Most of the world bathes bathes out of a bucket, yet before embarking on this trip, I had never done it. I’m spoiled. I come from a place where hot water magically comes pouring out of the faucet everyday without fail. Since I considered my luxurious hot showers normal, I saw bucket showering as somewhat primal and uncomfortable. Now that I consider the bucket my new normal, I think of it as a perfectly good way to stay clean. Here is what you do. You either pump the water from the ground or take it from the tap (depending if there is one or not) and you pour the cold water all over you. You take your soap, scrub yourself down really well, then take another bucket of water and dump it over yourself to rinse off. Oftentimes people will only wash their whole body every few days, but will wash their arms, feet, and face every morning and night. Also, people don’t always wash their body and hair together, and neither do I. If my hair is dirty but I don’t feel like dunking my whole body in cold water I wash my hair while fully clothed. Between guest houses and homes I have seen many different ways to heat water as well. Some heat a bucket over a wood fire, others use electric heaters (a box on the wall), and some opt for solar panels, though those never really get hot. 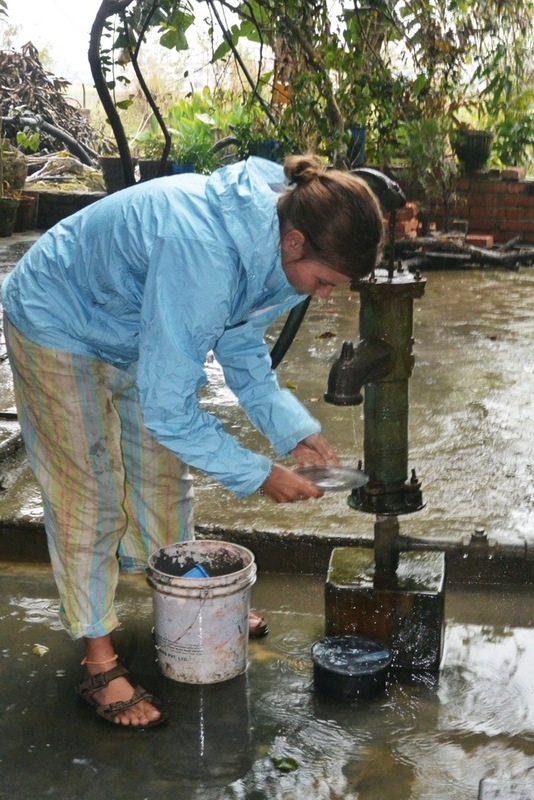 Here is a typical water pump. 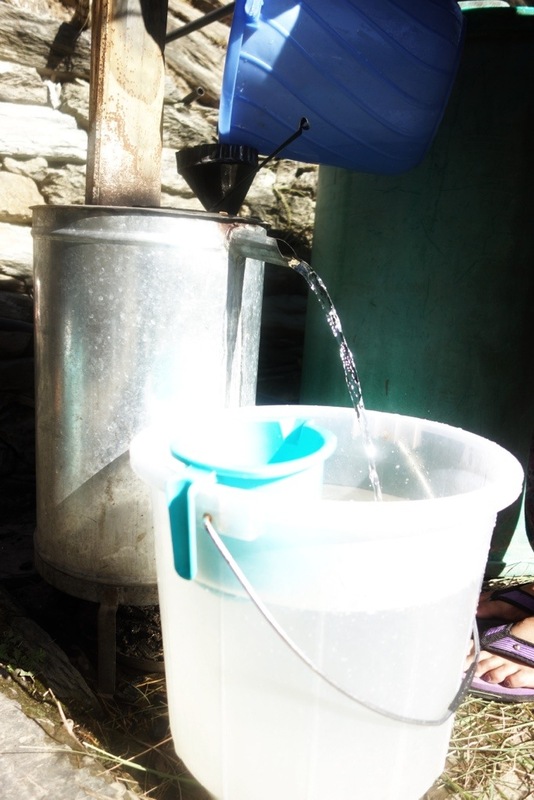 This is safe drinking water, and every village has a few. Here is my favorite water heater. You make a fire inside (with wood), then pour the cold water in. It comes streaming out scolding hot and ready for you to use (once you mix with a bit of cold water first). This entry was posted in Nepal and tagged Bucket showers, developing countries shower, devoting countries water, shower third world, showering Nepal by The Wandering Nomads. Bookmark the permalink. Environment friendly ideas,feel of being at places you visit & narrate,correct analysis,you are great shirine,If 50% persons on earth follow to save water , electricity & energy,worls will become much happier than what is it now.Your stories are really interesting & inspiring.